• Dog people never get tired of talking about their dog’s poop. These discussions seem to be appropriate at any time, including meal times. • No one is ever too old to enjoy roasting marshmallows and making s’mores. Believe it or not, there are some adults who do not make their first s’more until they come to dog camp. • Dog people are some of the most responsible people when it comes to being respectful of their room, the grounds, and typically leave things better than they found it. • Eventually, our dreams at night have become about dogs instead of people. 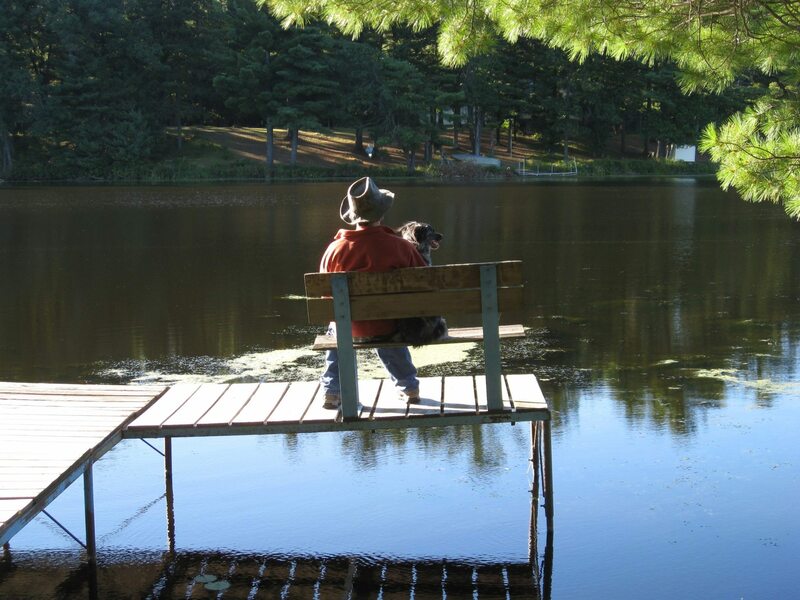 • No matter how many incredible, awesome, and creative activities are on the schedule, the most popular activities at camp are lure coursing, swimming, and napping. • A tired dog will sleep just about anywhere, and so will many humans. • People freak out over ticks. And spiders. But they really freak out over ticks. • First times still touch our heart – watching the first time a dog swims, catches a Frisbee, herds sheep, runs an agility course off lead, passes their CGC test…first times have brought a tear to the eye to many at camp. • The most challenging part of teaching a dog to catch a Frisbee, is teaching his human how to throw one. • People love to drink wine. And if they are not drinking wine, Baileys plays a close second. • Regardless of what time camp is “officially” over, there is always that one camper left who just started packing her car. • Yes, people have snuck their cat into dog camp. • A dog dressed up as a unicorn with a princess on his back is not unusual. • Dogs do get cranky when it is hot outside. • The formula for de-skunking a dog (usually in the middle of the night) is: hydrogen peroxide, baking soda, liquid dish soap, and a good sense of humor. • If the camp vet expresses that a dog is a little too chubby for an activity, they might as well have told the owner that she herself is fat. • There is no such thing as bad weather, just the wrong clothing. • If a dog sleeps for three days following camp, they most likely are suffering from a condition we have aptly named, “the camp hangover.” Human campers may also suffer from this condition. • Games like “Musical Hula Hoops” and “My Dog Can Do That” can bring out the worst in a grown woman. • As a dog camp director, you can survive with no shower, little sleep, and wearing the same clothes for 5 days. You smell delicious to the dogs. The most difficult part of owning a dog camp, is saying good bye to our dog friends when they cross the Rainbow Bridge. We like to imagine our Forever Campers enjoying an eternal camp on the other side. And, at the end of the day, dog camp ends up being just as much about the friendships between people, as the bond between the dogs and their people.